N.B. 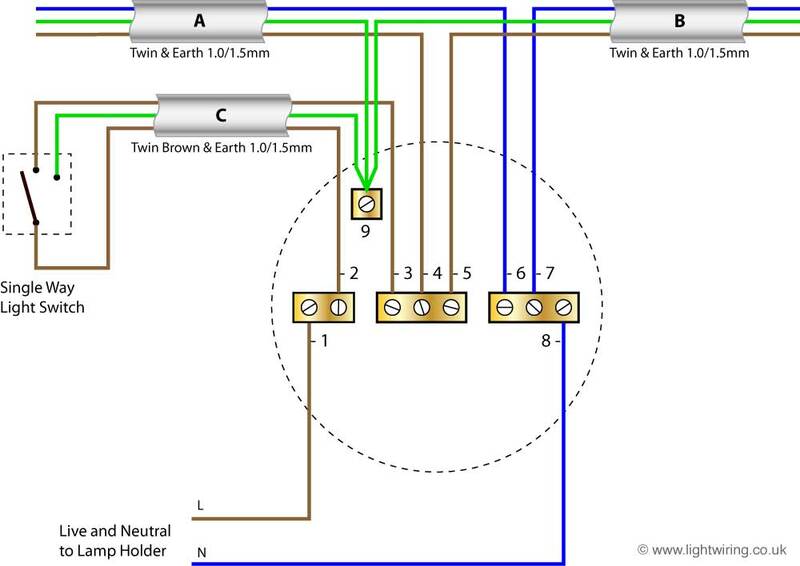 The diagrams below shows the new (harmonised) cable colours. If the cables in your circuits are Red and Black please see Multi-point radial lighting circuit – old cable colours. 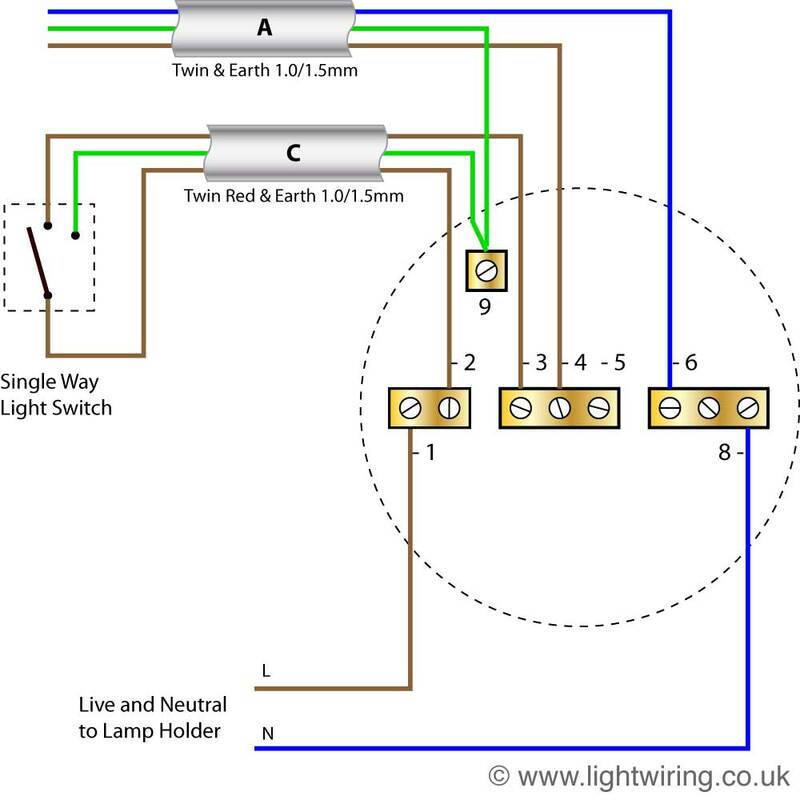 The light wiring diagram shows how the live feed from the Consumer unit (fuse board, shown in blue in Fig 1) feeds into the first ceiling rose (ceiling rose A, Fig 1). 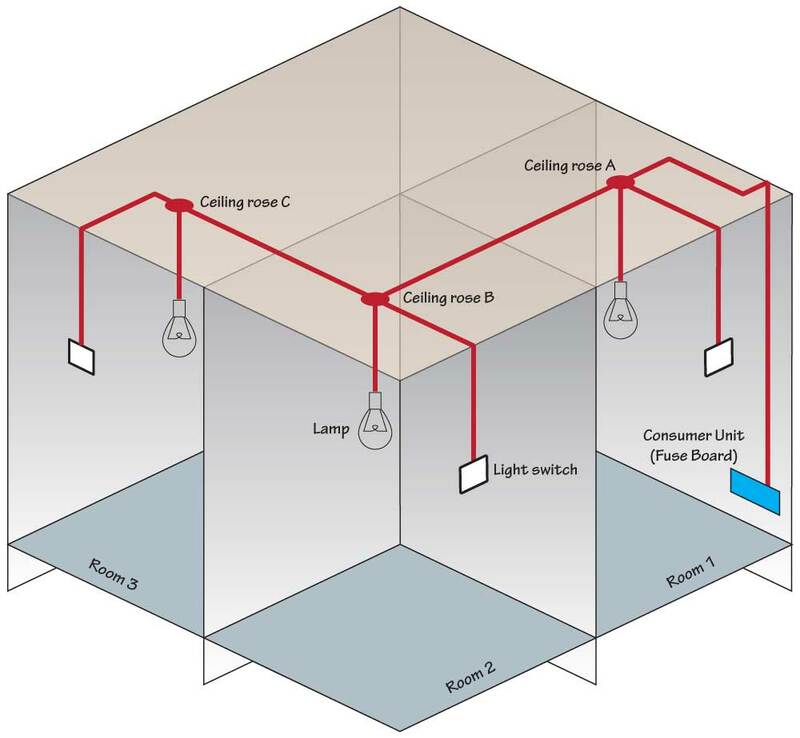 This would be cable A in the diagram below (Fig 2) which shows how the ceiling rose is terminated. This live feed now loops back out of the rose (cable B, Fig 2) and feeds power to the next ceiling light in the radial circuit (Ceiling rose B, Fig 1). This repeats for each light in the circuit until we reach the last light.